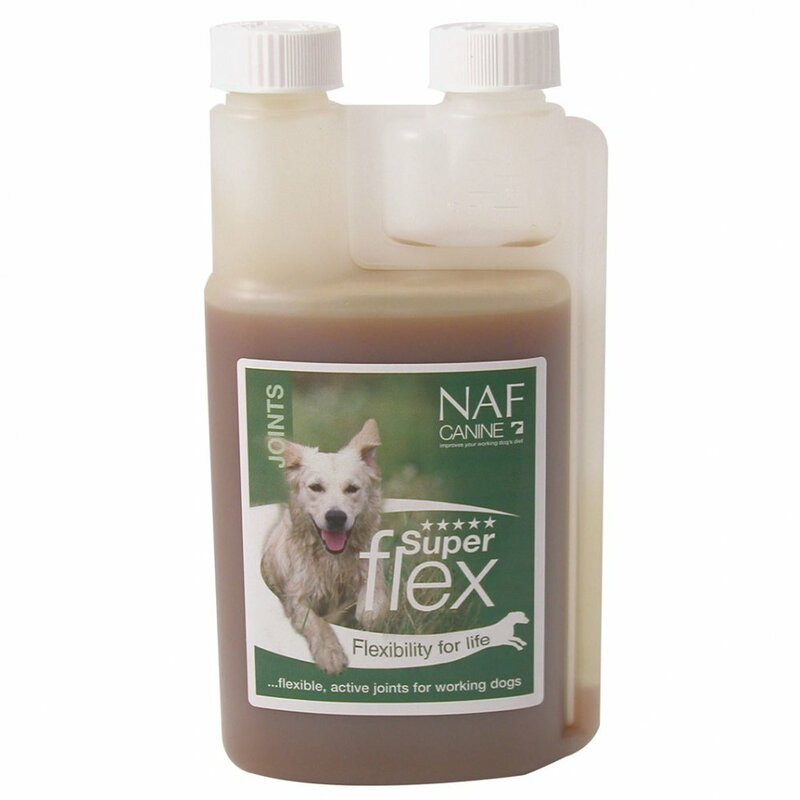 NAF Canine Superflex Liquid is an easy to feed joint supplement for dogs. NAF Superflex for dogs is a unique formula that offers the very best, targeted nutritional support to maintain optimum mobility and joint flexibility in your four legged friend. NAF Superflex is perfect for dogs that experience joint stress everyday, including working and sporting dogs as well as older dogs that are starting to show stiffness when moving. NAF Canine Superflex has also proven useful for dogs with genetic skeletal variations. Superflex was developed and tested in Europe by veterinary scientists and this great tasting liquid is easy to add to your dogs normal food. Some dogs may benefit from twice the feeding rate of NAF Canine Superflex Liquid for the first 7-10 days or when under particular joint stress before resuming normal levels.